Enjoy discovering the lesser known islands around Kep, home to some of Cambodia’s best kept secret locations. Explore uninhabited islands and observe daily life in local fishing communities dotted along the islands. Stop at a deserted beach for a snorkel around the island and explore the fragile marine eco-system around the island. 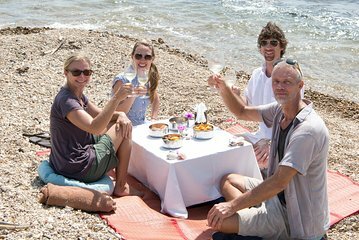 After a well-deserved rest and a snack, indulge in some tasty sparkling wine, before continuing on your island hopping discovery, and returning to the mainland early afternoon.